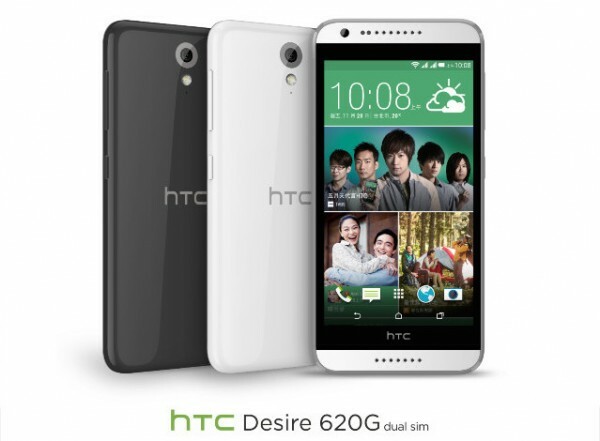 Impressed by the HTC Desire 620, a mid range Android smartphone that was leaked last week? From the leak, it was pretty obvious that the launch was imminent and if you’ve been waiting for it, the Taiwanese company has just announced the device in its home country. 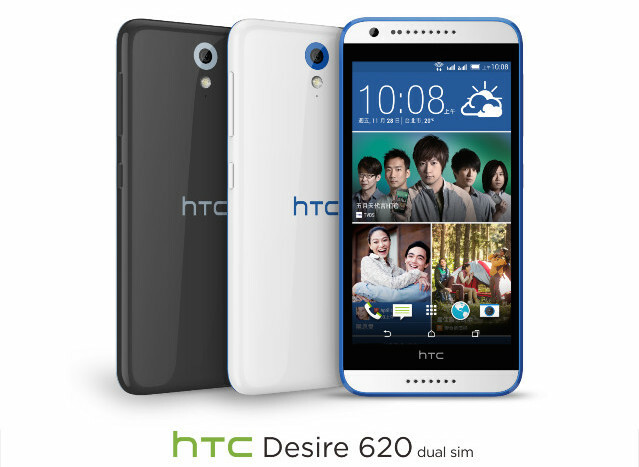 The HTC Desire 620 will come in two different variants – the HTC Desire 620 that is powered by a 64-bit Snapdragon 410 processor clocked at 1.2GHz, and the Desire 620G that is powered by a 1.7GHz octa-core MediaTek MTK MT6592 chip. The Desire 620 is an LTE-enabled handset, while the MediaTek one has a WCDMA connectivity. Apart from the processor, both devices are identical in terms of other specs and design. They feature a 5” 720p display, 1GB of RAM and 8GB of internal storage expandable via microSD card slot. The Snapdragon version can accept cards up to 128GB while the MediaTek only takes cards up to 32GB. Other specs include 8MP rear camera with Eye Experience, 5MP selfie camera, 2,100mAh battery, Dual SIM, and runs on Android 4.4 KitKat out of the box. The HTC Desire 620 will go on sale starting today for a retail price of NT$6,990 (about RM762), while the MediaTek powered Desire 620 G will go on sale by middle of this month for NT$4990 (RM544).